This summer I’ve been reading a few French Panini Marvel and DC comics. I’m puzzled as to why they are different/better than the Panini comics available in the UK. 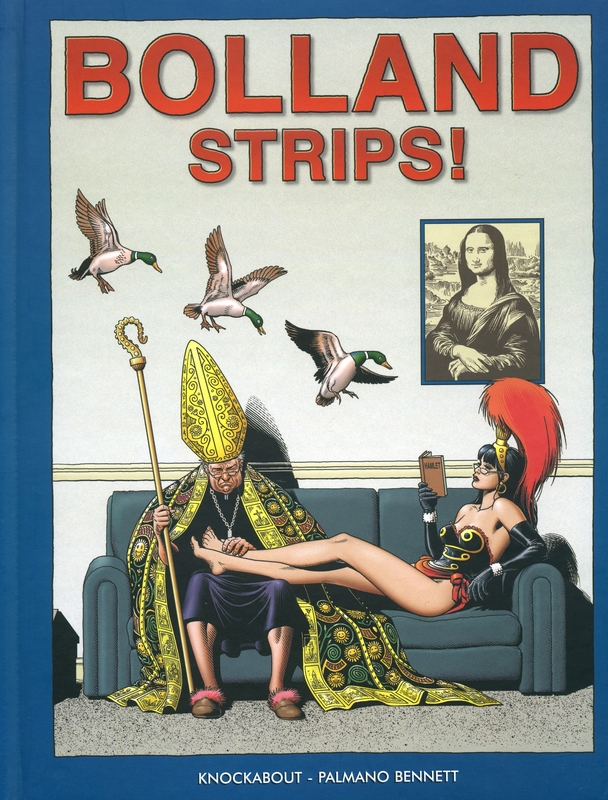 The majority of the French-produced Panini comics are printed on glossy paper with card squarebound covers which make them ideal for your bookcase. The UK comics published by the same company may have card covers but the interior pages aren’t of as good quality paper and they are still held together by two staples. 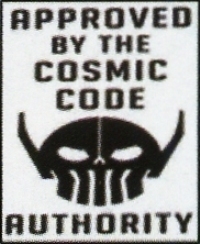 To complicate matters Panini in France has a licence for Marvel and DC material. 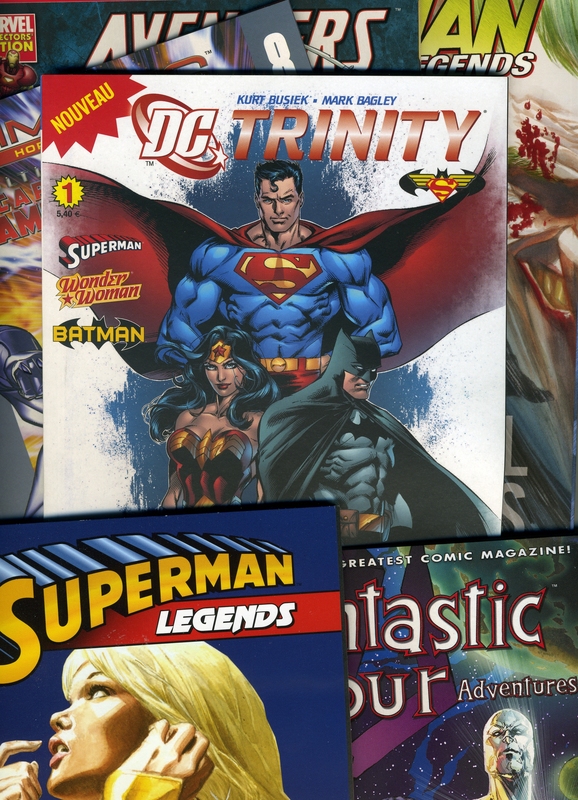 In the UK the DC franchise is licenced to Titan magazines, (who don’t seem to be making the most of it, only printing two bi-monthly DC titles). 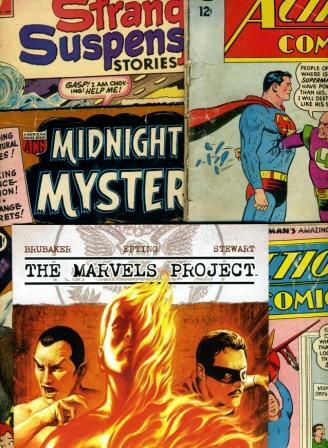 As the demand for monthly “floppy” comics in the USA continues to decline, and as Panini sell comics in Italy, the UK, France, Spain, Brazil etc, Germany and many other countries in Europe, I’m pretty sure we must have reached the point where the number of Marvel reprints around the world published each month far exceeds the number of new Marvel comics produced in the USA !!! 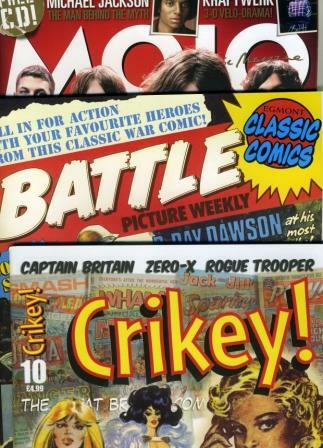 This week I have been reading my usual combination of new magazines and old comics…………….. 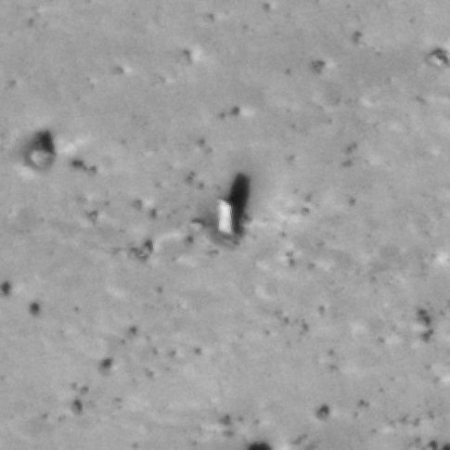 ITEM: The question is….is this really a “Monolith on Mars” filmed from an orbiting satellite or is it a close-up of something protruding from a McVities Digestive Biscuit ?? 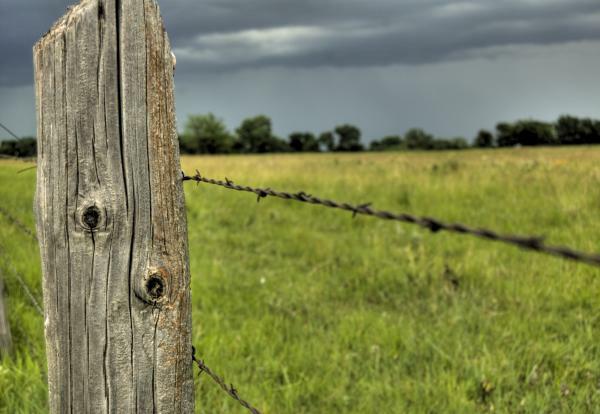 ITEM: I often hear (at work as well as spouted by Politicians of all hues) the irritating phrase “Going forward”. I think the country is going backwards fast. 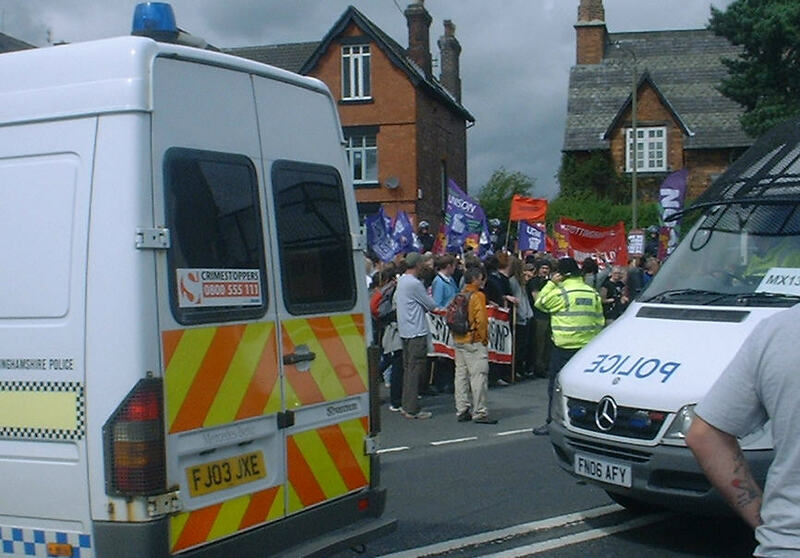 For example, last saturday I was prevented from making my usual trip to the local comic shop by riot police and road blocks due to an anti-BNP demonstration. Why do I still go to the comic shop you ask ?? Because I can I suppose. I recall those days of yore when I would clutch a 1/- coin and have to make that momentous decision of which one comic I bought from a spinner rack heaving with goodies. Now I am in a position to buy as many comics as I wish (within reason). So this story written by Brian Augustyn which appeared inside the front cover of a Trollords comic (the September 1987 issue in case anyone cares…) has always amused me. ITEM: 20 years ago I used to regularly exchange mix-tapes with a friend in the USA. She favoured singer-songwriters whilst I favoured the bonkers sounds I still like today. But I still loved getting her cassettes with the oh so neatly hand-written liner cards. I was messing about with my Bond Equipe (a new battery and it fired up first time after 9 years in storage) and found some of her (and my) mix-tapes in the glove compartment, last played circa 1989. I was in music heaven for the next hour. I re-discovered stuff like The Blue Rondos’ “Little Baby” which was a Joe Meek production from 1966 and a Jukebox favourite of mine for years . One of the tapes also included Jesus’ Blood by Gavin Bryars. Now this legendary 25 minute plus UK instrumental with haunting looped vocal has an amazing effect on people. They either love it or it drives them so mad that they start throwing things at wherever the music is coming from !!! It is certainly hypnotic. 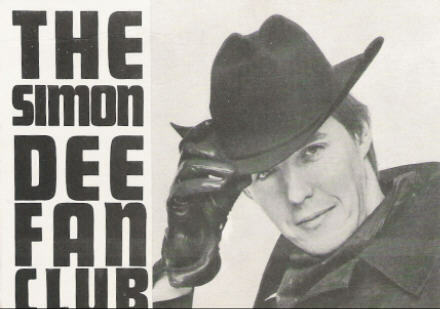 (The later remix with Tom Waits performing a duet with the original recording was less successful). And there were more odd sounds like this tune. The artist and title have long-since faded from my brain but I think it was from a single on UA records circa 1974 with backing vocals by The Maggie Stredder Singers ….. any ideas anyone…..
On to whatever it is he’s currently doing..mostly covers for DC comics……But I particularly enjoyed this hardback…..as the Actress said to the Bishop………..
I’m sure Tony Bennett (yes, the famous one…not the singer..) will still have copies of this and much other graphical goodness available at the legendary Knockabout Comics of London. 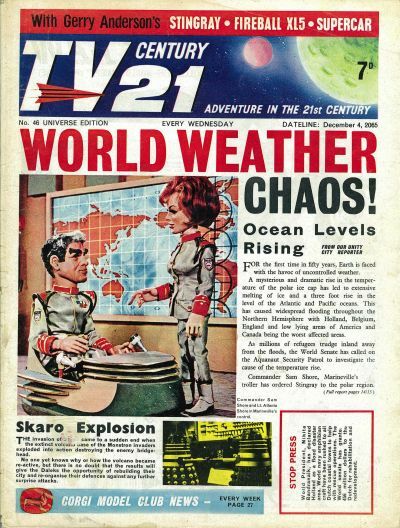 Perhaps they were inviting trouble by heading this magazine with the phrase “The one you’ve all been waiting for kids”. Despite an “Adults only” on the cover Mick Farren and the gang ended up in court for “Obscenity” and “Corrupting a minor”. How a copy of Nasty Tales came to be on sale in a Newsagents in 1971, and why an 8 year old would buy it rather than The Beano or The Dandy is lost in the mists of time. 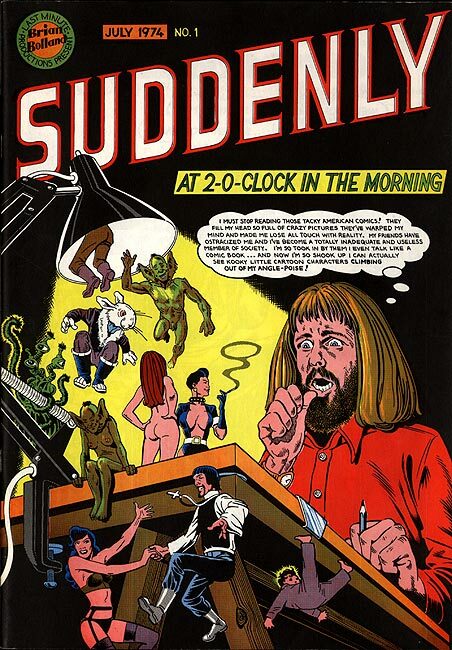 But I suppose, thinking back to when I was 8 years old I would be sent to buy cigarettes for my father (taking the opportunity to purchase the odd Mad magazine or Alan Class comic at the same time…) and the Newsagent never turned a hair. Now you hear tales of pensioners being asked to produce ID to buy alcohol in the Supermarket !! I see from the letters page that readers were commenting on the different quality of art between the more accomplished artwork of the American reprints of Mr Natural, The Fabulous Freak Brothers etc and the (mostly) rough-and-ready original UK material. The “punch line” of this strip drawn by Edward only make sense if you know who Lobby Ludd (Lobby Lud ??) is/was. There were many Lobby Ludds over the years (representing a variety of tabloid newspapers and handing out fivers) lurking around various seaside resorts throughout much of the C20th. 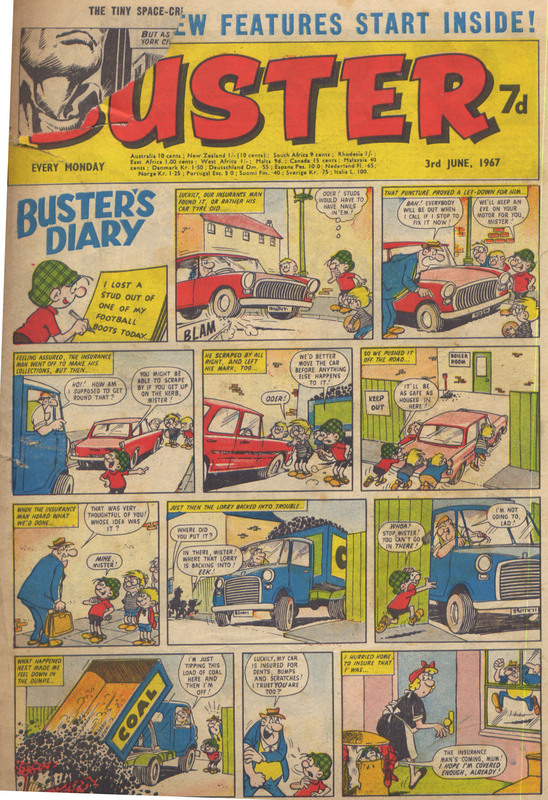 Whilst browsing the Internet for nothing in particular I found this (slightly torn) copy of “Buster” comic from 1967. 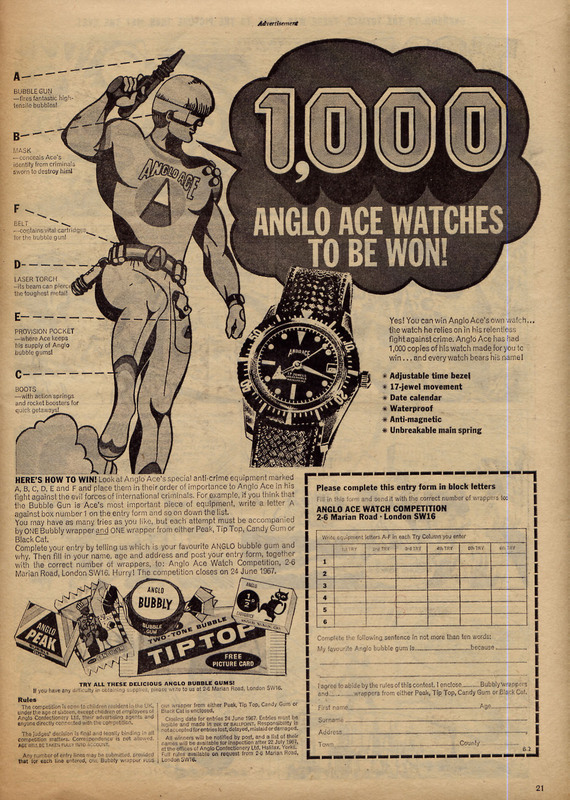 Besides containing such delights as “Galaxus”, “Charlie Peace” and “The Toys of Doom” it also contained an advert/competition for Anglo Ace bubblegum. At the time I sent off the appropriate number of wrappers and a slogan. A couple of months later I was pleasantly surprised to see that I’d won one of these exclusive wristwatches. Its only now all these years later that I realise that 999 other people also won one. Ah well…so much for exclusivity. I’ll bet less than 1000 kids would take the trouble to enter!!! When new it had the most scarily bright green glow I have ever seen on a watch. Luckily the “radioactive” paint has faded over time. 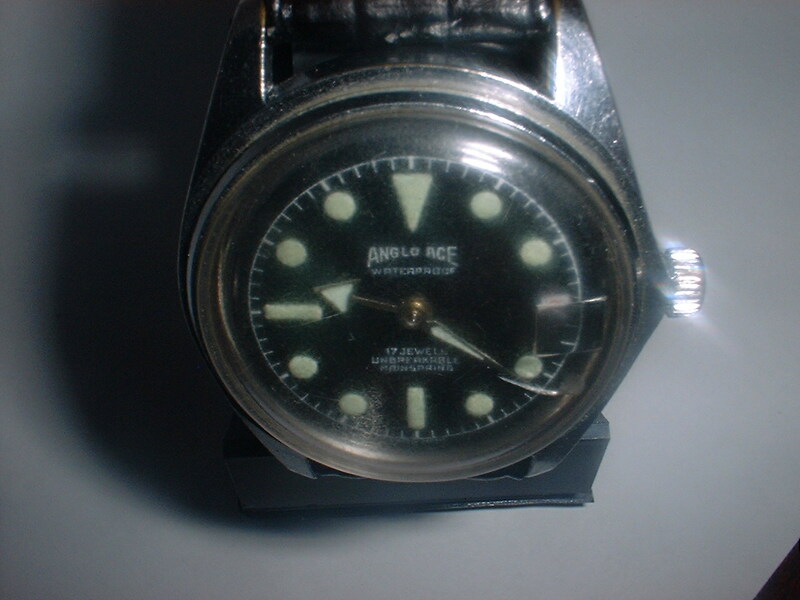 I seem to have mislaid the bezel somewhere over the last 42 years but despite some wear and tear it still keeps ticking, much like its owner…..